The Banking Royal Commission has certainly begun to show its effect with businesses and individuals finding it more difficult to quickly and readily obtain finance. The reduction in foreign investment in Australia, primarily from China where Chinese nationals can invest overseas—has reduced considerably. Margins on sales will potentially become smaller as the quantity of properties on the market become greater, thereby leading to less profits, which your clients should be conscious of when considering their exposure to debt. Holding costs may become greater as property is more difficult to sell. It’s worthwhile factoring this cost into the budget allowing for a “worst case scenario” for the time it takes to sell the property. Conducting a detailed and proper budget along with a thorough due diligence before investing is key. We often now see mum-and-dad investors with the intention of making “super profits” invest in small residential developments which (sadly) turn sour and ultimately result in unsustainable losses and bankruptcy. 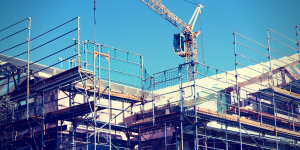 While the Big Four banks are more conscious when lending to property construction projects, borrowing is still available through mezzanine lenders and less traditional markets. However, the cost of borrowing from these markets is substantially greater, and your clients should be aware of the risks when entering into these types of transactions. As with most things, the property market has always been about timing; we just urge advisors to help guide their investor clients not to make any property venture culminate in a case of bad timing and bad planning.